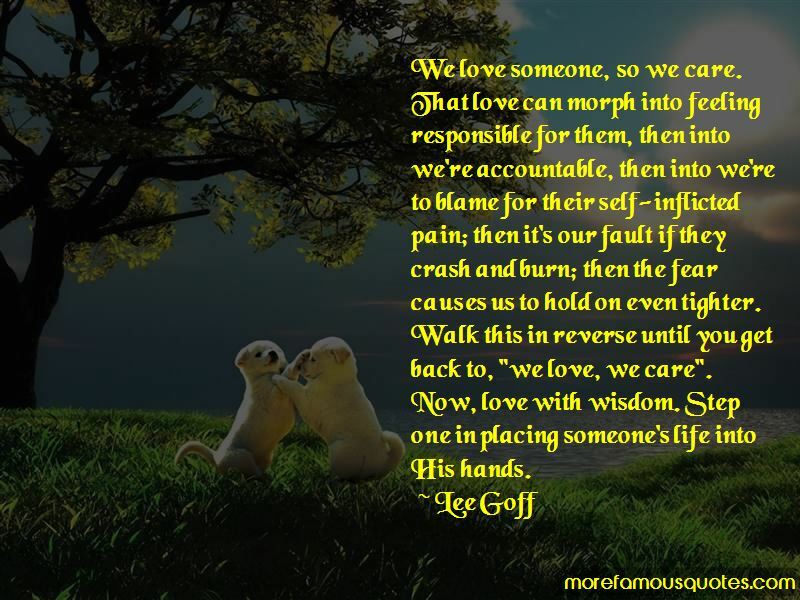 Enjoy reading and share 38 famous quotes about Feeling Responsible with everyone. “- Child is abused, perpetrator threatens to hurt mother. Child feels protective of mother. - Struggle to escape perp reinforces feelings of mutual protection. It's Mom and I against the world. - Guilt for child who still feels responsible for mother's emotional health. Many offenders also have impairments in their autonomic nervous system, the system responsible for the edgy, nervous feeling that can come with emotional arousal. This leads to a fearless, risk-taking personality, perhaps to compensate for chronic under-arousal. Many convicted criminals, like the Unabomber, have slow heartbeats. “It takes real feelings to create the illusion that others have power to offend and anger us. I: You have the right to judge your own behavior, thoughts, and emotions, and to take the responsibility for their initiation and consequences upon yourself. II: You have the right to offer no reasons or excuses for justifying your behavior. III: You have the right to judge if you are responsible for finding solutions to other people's problems. IV: You have the right to change your mind. V: You have the right to make mistakes-and be responsible for them. VI: You have the right to say, "I don't know." VII: You have the right to be independent of the goodwill of others before coping with them. VIII: You have the right to be illogical in making decisions. IX: You have the right to say, "I don't understand." X: You have the right to say, "I don't care." 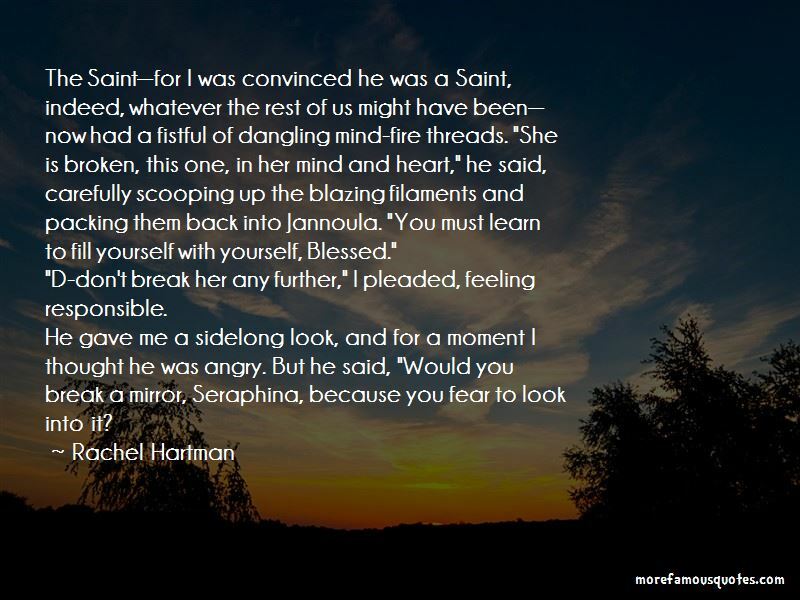 “The Saint-for I was convinced he was a Saint, indeed, whatever the rest of us might have been-now had a fistful of dangling mind-fire threads. "She is broken, this one, in her mind and heart," he said, carefully scooping up the blazing filaments and packing them back into Jannoula. "You must learn to fill yourself with yourself, Blessed." "D-don't break her any further," I pleaded, feeling responsible. 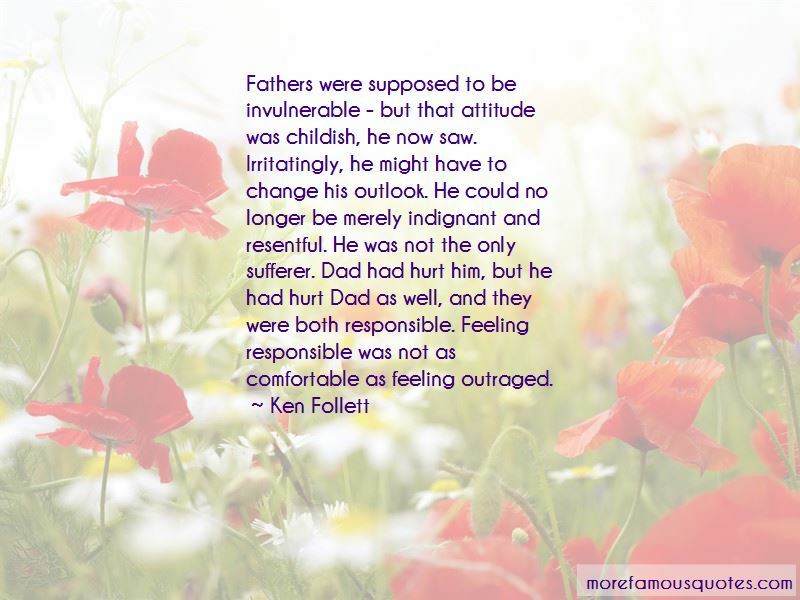 Want to see more pictures of Feeling Responsible quotes? 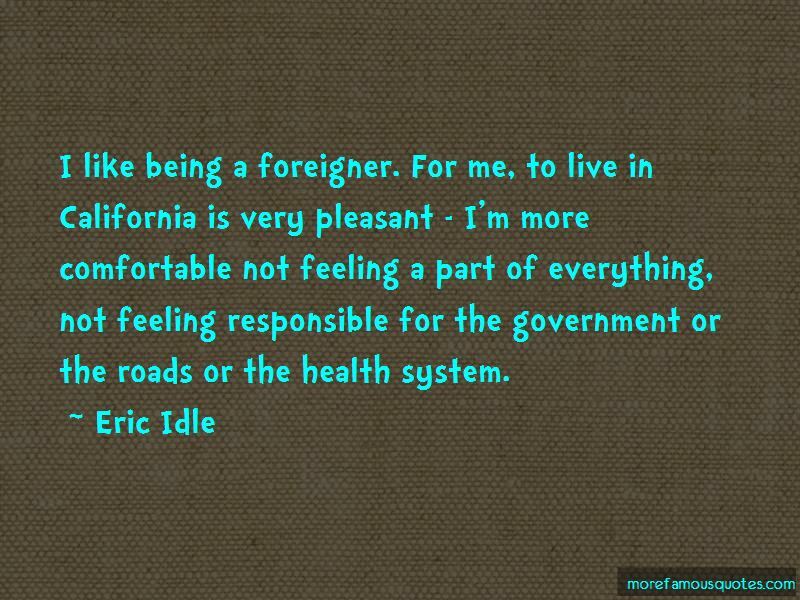 Click on image of Feeling Responsible quotes to view full size.